One of the founders of the Vardaman History Project, and one of its most significant contributors, Dewitt Spencer, died at his home in Ellzey at 12:30 am on Monday, April 21, 2014, surrounded by his family. On the afternoon of April 22, at the funeral home in Vardaman, a line of mourners waiting to express their affection for Dewitt and their sadness for his loss stretched through the building, out the door, and well into the parking lot. It was a beautiful sunny spring afternoon, the sort of day perfect for the making of pictures of loved ones and friends that Dewitt was so skilled at doing and so enjoyed. Inside, a slide show of scores of pictures of Dewitt with family and friends repeated over and over as mourners paused in the chapel to watch after having spent a little time with Dewitt's family and seeing displays of some of his favorite books and quotations. 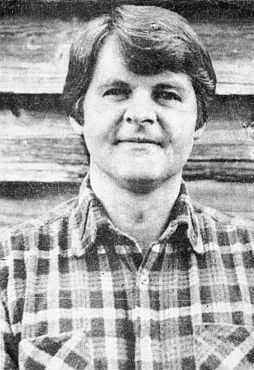 Carl Dewitt Spencer was born June 19, 1942 in the Ellzey Community, the son of Thomas Charles Spencer and Ludie Annis Loftis Spencer, and the grandson of Thomas Dewitt Spencer and Ethel Mae Cox Spencer. He recalled, in an article written for the VHP, "In the 1940's and 50's when I was on the farm there were several sweet potato farmers around Vardaman but most people still held to the traditional southern staple, cotton. I viewed cotton farms as exotic and thrilling and begged daddy to let me go across the road to Mr. Brooks Winter's place and pick cotton (for money!)" He played on the Vardaman football team and was a graduate of Vardaman High School in 1960. He graduated from the University of Mississippi in 1965 with a B.S. degree, and from there again in 1967 where he received his Master's Degree in Special Education and his Specialist Degree in 1970. He taught Special Education classes in Vardaman and later became the Calhoun County Title One Coordinator. 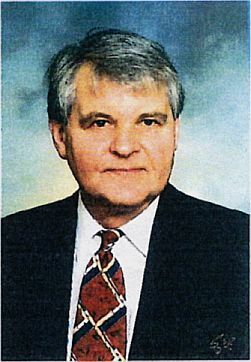 He was elected as the Calhoun County Superintendent of Education in 1992 and served in that capacity until 2000. He also served on the Mississippi State Mental Health Advisory Board, Communicate Advisory Board for 37 plus years. 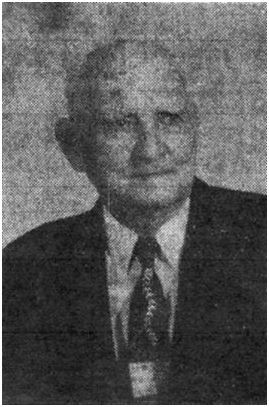 Dewitt was a former Secretary of the Calhoun County Democratic Party and a loyal "Yellow Dog" Democrat. He was preceded in death by his parents and a brother, Charles Douglas Spencer. He is survived by his wife, Zilla Rose Morgan Spencer of Vardaman, MS; two daughters, Leah Rose Spencer (Laura Fairfax) of Pittsboro, NC, and Morgan Spencer Cutturini (Al) of Oxford, MS; one grandson Logan Mullen of Oxford, MS; a special niece, Spencer Moore of Chapel Hill, NC; one sister, Linda Kay Spencer Moore (Jimmy) of Vardaman, MS; and one brother, Dwight Lee Spencer of Greensboro, NC. His hundreds of friends and admirers mourn his passing and join his family in grief. A memorial service for Dewitt was held at 3 pm, Wednesday, April 23, 2014, at the Ellzey Memorial Chapel. If any memorial service can be called 'good', then Dewitt's was the best that most who were there had ever attended. It was planned by Zilla, Leah, and Morgan with input from Dewitt to include, as his daughter said, a slight degree of irreverence. A few days before he died, they were talking with him about his service and what readings and songs he would like. With a characteristic twinkle in his eye, he asked them, "And when is this event going to be?" Not only was the 'Event' planned by his family, it was led by them and his close friends; as the songs "Church in the Wildwood", "Beulah Land", "Will the Circle be Unbroken", and "I'll Fly Away" rang through the Ellzey Chapel that Dewitt loved so much, one could almost hear him adding his voice to these favorites. Scripture was read and meditations offered by Reverend Wil Howie and Reverend Laura Fairfax. Readings were introduced by his daughters Leah and Morgan and read by his cousins. Instrumentalists included Leah, his grandson Logan Mullen, Laura, and Steve Walls. The Spencer Clan from Ellzey, north of the Yalobusha, and the Morgan/Inmon Clans from Midway, south of the Yalobusha, merged in the marriage of Dewitt and Zilla. After the memorial service at the Ellzey Chapel, a reception was held at the Midway Baptist Church with tables laden with an abundance of traditional dishes - all of which were Dewitt's favorites! Honorary pallbearers were: Curt Alford, Dudley Davis, Charles Herring, Bobby Phillips, Steve Walls, and James Young. Parker Memorial Funeral Home - Vardaman, MS was in charge of arrangements. Thomas Dewitt Spencer was born in Milan, Gibson, Tennessee, on 25 Sep 1869 to Thomas Spencer and Harriet A Miller. He married Ethel Mae Cox (1881-1953) and they had 9 children. He passed away on 16 Nov 1936 in Calhoun County, Mississippi. Their children were: Thomas Charles Spencer, Mildred Louise Spencer, Nellie Burtrum Spencer, Opal Gertrude Spencer, Paul Lee Spencer, Willie Edgar Spencer, Edith Mae Spencer (1900-1982), Beatrice Margaret Spencer (1903-Unknown), Raymond Dewitt Spencer (1905-Unknown). Vardaman, Miss., Aug. 3 -- Mrs. Ethel Spencer, age 72, died at the home of her daughter, Mrs. Beatrice Chandler, in the Ellzey community on Sunday, Aug. 2, 1953, of a lingering illness. Born on Apr. 28, 1881, she was a native of Carbondale, Illinois, and had lived at Ellzey for approximately 3 years. She was a member of the Baptist Church, a woman of fine character and possessed of a world of friends. She was the widow of the late T.D. Spencer. The people of this section held Mrs. Spencer in highest respect and she was known as a fine neighbor and a useful person in the community. Funeral services were held at Ellzey on Aug.3, at 3:00 P.M., conducted by Revs. J.F. Hartley, Cooper Hartley, L.F. Haire and E.S. Furr, followed by interment in the Young's Chapel cemetery. Pallbearers were Robert Freely, Joe Lee Fleming, Richmond Alexander, James Williams, Wilton Griffin, and Kimball Blissard. Cook Funeral Home of Vardaman had charge of arrangements. Mrs. Spencer is survived by five daughters, Mrs. Edith Harrell, Clarksdale, Mrs. Beatrice Chandler, Vardaman, Mrs. Mildred Reid, Tuscaloosa, Ala., Mrs Opal Anderson, Houston, and Mrs Nellie Gilder, Vardaman; by four sons, Raymond Spencer, Thomas Spencer, Bill Spencer, and Paul Lee Spencer, all of Vardaman; by her mother, Mrs. Annie Cox of Sharon, Tenn., and by two brothers, Will and Rob Cox, of Sharon, Tenn.; and by twenty-three grandchildren. Mr. Thomas Charles Spencer, 65, died Friday, March 16, 1973, in the Baptist Hospital in Memphis, Tenn.
A farmer, Mr. Spencer had resided most of his life on Rt. 2, Vardaman, in the Ellzey community. He was a member of the Vardaman Baptist Church which he served as a Deacon and was a Mason. He was a member of the FHA Committee and a former school trustee, and was very active in the religious and civic affairs of the area. He was born Nov. 7, 1907 in Gibson County, Tenn., the son of Thomas Dewitt Spencer and Ethel May Cox Spencer. He leaves his wife, Mrs. Ludie Spencer of Vardaman; two sons, Dwight Lee Spencer of Charlotte, N.C., and Carl Dewitt Spencer of Vardaman; one daughter, Mrs. Linda Kay Phillips of Tupelo; five sisters, Mrs. Edith Harrell of Columbus, Ga., Mrs. Beatrice Chandler of Vardaman, Mrs. Mildred Reid of Tuscaloosa, Ala., Mrs. Opal Anderson of Houston and Mrs. Nellie Gilder of Greenville; three brothers Raymond Spencer, Paul Lee Spencer, and Bill Spencer, all of Vardaman; and six grandchildren. Funeral services were held Sunday afternoon at Vardaman Baptist Church. Rev. Ken Pickens officiated, assisted by Rev. L.F. Haire. Burial was in Ellzey Cemetery, under the direction of Antony Funeral Home. Pallbearers were Billy Paul Spencer, Keith Spencer, Jackie Neal Spencer, Myles Johnson, Douglas Anderson, Danny Gilder, Johnny Reid and Euwell Harrell. Services for Ludie Annis Spencer of Vardaman were held Sept. 26, 1987 at 11 a.m. at the Vardaman Baptist Church. Mrs. Spencer, 78, died Sept. 24 at North Miss. Medical Center in Tupelo. She was the widow of Thomas C. Spencer. Mrs Spencer was a member of the Vardaman Baptist Church and the Thomas W. Young Chapter 157 of the Order of the Eastern Star. She is survived by a daughter, Linda K. Moore of Houston; two sons, Dwight Spencer of Greensboro, N.C., and Dewitt Spencer of Vardaman; a brother Fred Loftis of Memphis; and 7 grandchildren. Burial was in Elzey Cemetery with the Rev. Dale Easley and the Rev. Robert Boyer officiating. Pallbearers were Billy Paul Spencer, Jack Spencer, Keith Spencer, Wayne Johnson, Tom Harrell and Euwell Harrell. Antony-Parker Funeral Home was in charge. Mr. Paul Lee Spencer, 65, died Monday, Sept. 15, 1975, at the Veterans Hospital in Memphis, Tenn., following an illness of several months. He was a farmer and landowner, residing in the Ellzey community, north of Vardaman. He was a veteran of World War II. He has served the Friendship Baptist Church as choir director for 29 years and was a deacon of the church for a number of years. Born Feb. 14, 1910 in Gibson County, Tenn., he was the son of Thomas Dewitt and Ethel Cox Spencer. He leaves his wife, Mrs. Lillian Neal Spencer of Vardaman; one son, Jackie Spencer of Vardaman; five sisters, Mrs. Edith Harrell of Clarksdale, Mrs. Beatrice Chandler of Vardaman, Mrs. Mildred Reed of Northport, Ala., Mrs. Opal Anderson of Houston and Mrs. Nellie Reed of Greenville; two brothers, Raymond Spencer and Bill Spencer, both of Vardaman; and one grandchild. Funeral services were held Tuesday afternoon at Friendship Baptist Church. Rev. Ray Gilder officiated, assisted by Rev. Oliver Hood and Rev. J.F. Hartley. Interment was in Ellzey Cemetery under the direction of FAntony Funeral Home. Pallbearers were Euwell Harrell, Keith Spencer, Wayne Johnson, Dewitt Spencer, Billy Paul Spencer, Johnnie Reed, Douglas Anderson and Danny Gilder. Funeral services for Mildred Spencer Reed of Northport, Ala. were Dec. 9 at Memory Funeral Home Chapel with the Rev. Jo Williams officiating. Burial was in memory Hill Gardens. Mrs. Reed, 72, died Dec. 7. Born in Tennessee, she resided in Calhoun County for many years. She was an active member of the Northport Church of Christ. Survivors are two sons, Halbert Reed, Jr. of Northport and John C. Reed of Tuscaloosa; two sisters, Opal Anderson of Houston and Nell Gilder of Greenville a brother, Bill Spencer of Vardaman; six grandchildren. Pallbearers were Hoover Reese, Lynn Kimbrell, Clarence Latner, Charles Lollar, Milton Crawford, Bill Sanders, Harvey Milligan and Dupree Galloway. Mrs. Edith S. Harrell Farmer, 81, died Saturday April 10, 1982, at her home in Clarksdale. She was born June 21, 1900, in Trenton, Tenn., the daughter of Thomas Dewitt Spencer and Ethel Cox Spencer. She had resided for a number of years in the Ellzey community, Calhoun County. She leaves two daughters, Mrs. Juanita Busby of Columbus, Ga., and Mrs Henry Burns of Clarksdale; two sons, Thomas E. Harrell of Clarksdale and Ewell D. Harrell of Vardaman; three sisters, Mrs. Ethel Reed of Tuscaloosa, Ala., Mrs. Nellie Gilder of Greenville and Mrs. Opal Anderson of Houston; a brother, Bill Spencer of Vardaman; six grandchildren and five great grandchildren. Funeral services were held Sunday afternoon at Youngs Chapel Methodist Church in Ellzey community. Rev. Tommy Gilder officiated. Burial was in Ellzey Cemetery. Pallbearers were Wayne Johnson, Billy Paul Spencer, Jack Spencer, Dewitt Spencer, Douglas Anderson and Keith Spencer. Antony-Parker Funeral Home was in charge of arrangements. Beatrice Johnson Chandler, 72, died Friday, Sept. 26, 1975, at Oxford-Lafayette County Hospital. She had been in poor health for several months. She was the wife of Watt Chandler of Vardaman. She was a Baptist. Born Sept. 12, 1903 in Trenton, Tenn., she was the daughter of Thomas Dewitt and Ethel Cox Spencer. She leaves her husband, Watt Chandler of Vardaman; two sons, Wayne Johnson of Vardaman and Myles Johnson of Memphis, Tenn.; four step-daughters, Mrs. Virginia Coulter of National City, Calif., Mrs. Doris Lofton of Columbia, Tenn., Mrs Billie Kelly of Birmingham, Ala., and Mrs. Peggy Wright of Louisville, Ky.; four sisters: Mrs. Edith Harrell of Clarksdale, Mrs. Mildred Reed of Northport, Ala., Mrs. Opal Anderson of Houston, and Mrs. Nellie Gilder of Greenville; two brothers: Raymond Spencer and Bill Spencer,both of Vardaman; three grandchildren; 36 step-grandchildren and 8 step-great grandchildren. Funeral services were held Sunday afternoon at Friendship Baptist Church near Vardaman. Rev. Ray Gilder officiated, assisted by Rev. Charles Keel and Rev. J.F. Hartley. Burial was in Ellzey Cemetery under the direction of Antony Funeral Home. Pallbearers were Keith spencer, Dewitt Spencer, Billy Paul Spencer, Douglas Anderson, Tommy Gilder, Euwell Harrell, Johnny Reed, and Jackie Spencer. Honorary pallbearers were other nephews. Wilie Edgar "Bill" Spencer, 77, died Tuesday at North Mississippi Medical Center. He was a member of the Masonic Lodge No. 527, the Eastern Star and the Vardaman Baptist Church. He was a retired farmer and carpenter. Services will be at 3 p.m. today at Vardaman Baptist Church with the Rev. Dale Easley and the Rev. Ray Gilder officiating. Burial will be in Hillcrest Cemetery with Masonic rites. Parker Memorial Funeral Home is in charge of the arrangements. Survivors include his wife, Clara Mae Hawkins Spencer of Vardaman; one son, Billy Paul Spencer of Vardaman, one daughter, Glenda Scarbrough of Vardaman; two sisters, Opal Anderson of Houston and Nellie Gilder of Greenville; four grandchildren; three great-grandchildren. VARDAMAN- Clara Mae Hawkins Spencer, 94, died Sunday, Sept. 2, 2012, at Calhoun Health Services Nursing Home in Calhoun City. She was born Nov. 4, 1917, in Calhoun County, MS. She was a member of First Baptist Church in Vardaman. She served as a teacher of the Faith Sunday School Class for over 20 years and as a WMU leader for 25 years. She was a member of the Merry Hearts. She served in the past as a Worthy Matron of Eastern Star. She was a retired co-owner of Two Sisters Dress Shop in Houston. She was a graduate of Vardaman High School Class of 1937. Services will be at 2 pm today at First Baptist Church in Vardaman with the Rev. Mike Ramage officiating and the Rev. Melvin Faulkner assisting. Burial will be in Hillcrest Cemetery at Vardaman. Parker Memorial Funeral Home of Vardaman is in charge of the arrangements. Survivors include one daughter, Glenda Scarbrough of Vardaman; one son, Billy Paul Spencer of Vardaman; four grandchildren, Tommy Scarbrough (Karen) of Brunswick, TN, John Scarbrough (Kim) of Southaven, Candy Huffman (Leslie) of Vardaman and Clay Spencer (Rachel) of Brandon; six great-grandchildren and two great-great-grandchildren. She was preceded in death by her parents, Oliver and Enis Fleming Hawkins; her husband, Willie Edgar "Bill" Spencer; two siblings, Oliver Hawkins Sykes and James Henry Hawkins; and a son-in-law, Thomas Scarbrough. Pallbearers will be Daniel Denton, Leslie Huffman, John Scarbrough, Sam Scarbrough, Tommy Scarbrough and Clay Spencer. Honorary pallbearers will be members of the Faith Sunday School Class of First Baptist Church of Vardaman. The Body will lie in repose one hour prior to service time today at First Baptist Church of Vardaman. Memorials may be made to St. Jude Children's Research Hospital, 501 Saint Jude Place, Memphis, TN, 38105-1942 or a charity of your choice. Raymond Dewitt Spencer, 75, died Sunday, June 14, 1981, at his home on Rt. 2, Vardaman. 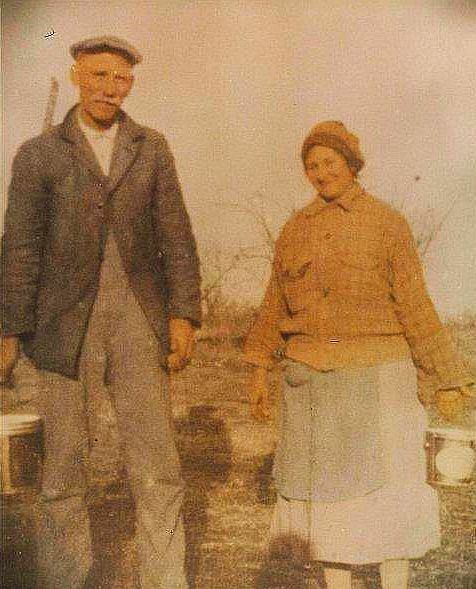 He was a farmer and had lived most of his life near Vardaman. He was a Mason. Born Nov. 22, 1905 in Tennessee, he was the son of Thomas Dewitt Spencer and Ethel Cox Spencer. He leaves his wife: Mrs. Annie Ree Parker Spencer of Vardaman; three daughters: Mrs. Nelda Moore of Houston, Mrs. Winnie Pettit of Vardaman, and Mrs. Virginia Ree Wright of Aberdeen; a son: Keith Spencer of Vardaman; four sisters: Mrs. Edith Harrell of Clarksdale, Mrs. Mildred Reed of Tuscaloosa, Ala., Mrs. Opal Anderson of Houston, Mrs. Nellie Gilder of Greenville; a brother: W.E. (Bill) Spencer of Vardaman and 11 grandchildren. Funeral services were held Monday afternoon at Friendship Baptist Church. Rev. Ray Gilder officiated, assisted by Rev. Prentiss Gilder and Rev. Gladwin Carpenter. Burial was in Ellzey Cemetery with Masonic graveside rites. Pallbearers were Dewitt Spencer, Billy Paul Spencer, Jack Spencer, Wayne Johnson, Douglas Anderson, and E.D. Harrell. Honorary pallbearers were James Williams, Lewis Williams, C.L. Nichols, Robert Earl McGregor, Robert Freely, R.A. Clark, and Masons of Vardaman Lodge No 527. Funeral services for Mrs. Lorene Fleming Spencer, who died at Edmondson's Clinic on Wednesday, July 14th, 1948 were held at the Vardaman Methodist Church Thursday, July 15. The Rev. I.E. Johnson, assisted by Rev. L.F. Haire officiated. Burial was in Ellzey cemetery under the direction of the Thornton Funeral Home. Mrs. Spencer was 34. A native of Vardaman, she was married to Raymond Spencer. She was a fine Christian lady and loved by all who knew her as attested by the large crowd who attended the services. Pallbearers were: Bernell Dye, James Williams, Richmond Alexander, Smith Wilson, G.G. Gilder, and J.R. Penick, Jr. Honorary pallbearers were: Jack Morris, Wilton Griffin, C.P. Ward, Boyd Adams, Grady Morgan, R.E. Gilder, John Robert Williams and Paul Gregg. She leaves her husband, Raymond Spencer; two daughters Nelda and Ethel Spencer of Vardaman; her father, James W. Fleming of Houston; one brother, Joe L. Fleming of Vardaman, and one sister, Mrs. Beatrice Ray of Memphis. Lillian Neal Spencer, 69, of Vardaman, died Wednesday, May 9, 1984, at Hillcrest Hospital in Calhoun City. A homemaker and member of Friendship Baptist Church, she was born Sept. 5, 1914, the daughter of Bob Neal and Sallie Williams Neal. Services were Friday at 2 p.m. at Friendship Baptist Church with Rev. Gladlyn Carpenter and Rev. Fred Hartley officiating. Burial was in Ellzey Cemetery. Pallbearers were Billy Paul Spencer, Dewitt Spencer, Keith Spencer, Wayne Johnson, James Earle Gale, and Jimmy Dale Wiliams. Survivors include one son, Jackie Spencer, Vardaman; one sister, Mrs. Mary Edith Gable, Ripley; two granddaughters, Miss Paula Spencer, Vardaman, and Miss Natalie Spencer, Vardaman; and two grandchildren. She was the widow of the late Paul Lee Spencer. Mr. Jonathan David "Dave" Blue, age 91, passed away at his home in the New Liberty community, on Sunday April 24, 1960, following an illness of several weeks. Mr. Blue was well known and highly regarded by Calhoun County people. He celebrated his 90th birthday at the Blue Picnic Area, at New Liberty on Sunday, July 13, 1958, and a large crowd of relatives and friends attended the event. Mr. Blue was born July 10, 1868 in the Midway community in this county. He is the grandson of the area pioneer Daniel Blue and is the son of Jonathan Graham Blue, who moved here from North Carolina with his parents when he was 6 years old, and Sara Ann Clay Blue, who was born in the Benela community. Mr. Dave was one of nine children: Daniel, Marion, Mary Catherine, Flora, Bob, Jennie, Alice and Tom Blue. On December 27, 1891, Mr. Dave and Miss Annie Vanhorn were married. They too, had nine children, as well as twin boys, who died in infancy. Their children are Edna Mae, Ora Ethel, Janie Elizabeth, Jewett, Charlie, Tom, Annie and Bannie (twins), and Prince. After their marriage, the Blues made their home in the New Liberty community. Mr. Dave still lived there with his son, Tom, and daughter-in-law, Audrey, in the old Blue home. His wife passed away on Dec. 1, 1951. Although farming had been his main occupation, Mr. Dave was County Road Contractor for several years, Meridian Creek Drainage Commissioner for many years, and served as trustee of the New Liberty School. He was a friendly, quiet, agreeable and unassuming man, kind to his family and friends. He enjoyed being with people, and made his home a place where people were always welcome. He was a man of intelligence, well-versed in the history and incidents of Mississippi and Calhoun County. During his younger years, he enjoyed hunting and fishing. He has always taken an active part in the educational, religious and civic affairs of this county. Funeral services were held from the New Liberty Church on Tuesday April 26, at 2:00 p.m. conducted by Dr. R. B. Patterson. The Cook Funeral Home was in charge of funeral arrangements, and pallbearers were his grandsons, Thomas Blue, David Blue, Johnny Blue, George Blue, Jimmy Blue, Charley Blue, Harvie Ramage, and Bannie Ramage. Interment was in the New Liberty cemetery. He is survived by three sons, Jewett Blue, Tom Blue, and Prince Blue, of Vardaman; by three daughters, Mrs. Edna Watkins, Mrs. J.W. Gable and Mrs. Clinton Ramage, all of Vardaman; by 16 grandchildren and 20 great grandchildren. Monette Hannaford Walls, 69, died at 9:00 a.m. Wednesday, Oct., 24, 1984, at Baptist Hospital Central, Memphis, Tenn.
She was the wife of Howard Walls and had lived all of her life on Rt. 1, Vardaman. She was a member of Duncan Hill Baptist Church and was a former school teacher. Born Oct. 2, 1915 in Calhoun County she was the daughter of Will Hannaford and Mattie Landreth Hannaford. Besides her husband, she leaves one daughter, Mrs. Mary Ann Griffin of Vardaman; three sons, Gayle Walls of Jackson, Benny Fred Walls and Steve Walls both of Vardaman; three sisters, Mrs. Rena Davis of Houlka, Mrs. Velma Vance and Mrs. Eunice Murphree, both of Vardaman; one brother, Bill Hannaford of Oxford and five grandchildren. Funeral services were held Thursday afternoon at Poplar Springs Baptist Church. Rev. Clarence Cooper, Sr. Officiated assisted by Rev. Gowen Ellis and Rev. Lowell Johnson. Burial was in the church cemetery. Pallbearers were Norman Griffin, Jr., Tim Griffin, Jeff Walls, Dewitt Spencer, Dudley Davis, and Pete Walls. Honorary pallbearers were Tobb Griffin and Gayle Walls, Jr.
Pryor-Wilson Funeral home of Calhoun City was in charge of arrangements. Mr. Jett McKinney, age 76, well-known all over Calhoun County, died at his home at Vardaman on Thursday, Nov. 19, 1953, following an illness of several months' duration. Mr. McKinney was born in Tennessee, and came to Calhoun County approximately 33 years ago. He was a cheerful and obliging man and made friends in all sections of Calhoun. Funeral services and interment took place at Cane Creek cemetery, in Martin County, Tenn., on Friday, Nov. 20, conducted by the Rev. E.S. Furr, of Vardaman. Cook Funeral Home of Vardaman was in charge of arrangements. He is survived by his wife, Mrs. Clara Covingtgon McKinney of Vardaman, and a step-daughter. Mr. Porter C. Maddox, age 88, well known citizen of Vardaman, came to the end of a long and useful life on Sunday, February 16, 1958, when he passed away at the family home in Vardaman. A native of Como, Tenn., Mr. Maddox and family, moved to Vardaman 43 years ago, where he engaged in farming until his retirement several years ago. Mr. Maddox was a member of the Methodist Church, which he joined many years ago. He was a good citizen and a man of honesty and upright character. He was identified with all progressive undertakings and projects at Vardaman and in Calhoun County. He had many friends and relatives in Calhoun and in Tennessee and those who knew him well were happy to call him friend. Funeral services for Mr. Maddox were held from the Vardaman Methodist Church on Monday, February 17, at 2:00 p.m., conducted by a former pastor, Rev. L.M. Wright, assisted by Rev. Doc Jeters, Rev. Stanley Furr and Rev L.F. Haire. Interment was in the Hillcrest cemetery at Vardaman. James E. Cook Funeral Home of Vardaman, was in charge of funeral arrangements, with nephews of the deceased acting as pallbearers. He is survived by his wife, Mrs. Mattie Lee Maddox of Vardaman; by five daughters, Mrs. Adell Bass of Lansing, Mich., Mrs. Clyde Hunt, of Gleason, Tenn., Mrs. Z.B. Casey of Vardaman, Mrs. Hollie Embrey, Jr., of Marietta, Ga., and Mrs. F.B. Williams of Beverly Hills, Calif.; by three sons, Ralph Maddox of Lancaster, Calif., Joseph Maddox, of McDonnah, Ga., and Marshall Maddox of Jasper Ala.; by 28 grandchildren and 19 great-grandchildren. Mrs. Martha Alexander Maddox, wife of the late Porter C. Maddox, passed away at the home of her daughter, Mrs. Robert W. Hunt, in Vardaman, Miss., on Thursday, Feb. 6, 1964, after an illness of more than two years. She was 89. Mrs. Maddox had resided at the family residence in Vardaman until January 2 when her health became so impaired that she was moved to her daughter's home. Her husband preceded her in death by six years, just 7 days before they were to celebrate their 60th wedding anniversary. She was a native of Tennessee. A member of the Vardaman Methodist Church, she was loyal and faithful in work in the church and attending services, until she was unable to attend because of her health. Funeral services were held Friday afternoon at Vardaman Methodist Church. Rev. L.M. Wright officiated, assisted by Rev. R.B. Winter and Rev. James Sims. Burial was in the Hillcrest cemetery in Vardaman, under the direction of Cook Funeral Home of Vardaman. Pallbearers were Gatlin Gilder, Gatlin Gilder, Jr., Harold Duncan, James Robert Duncan, T.A. Hardin, Robert Allen Hardin, Thomas Marshall Casey and James Marshall Casey. Honorary pallbearers were Dr. M. C. Sappington, Dr. J.S. Edmondson, J.R. Penick, J.B. Adams, Norman Inman, P.E. Roberts, Roy Mitchell, R.L.Gable, Sharon Hamilton and Bill Blue. She leaves three sons, Ralph A Maddox of Lancaster, Calif., Joseph S. Maddox, of McDonough, Ga., and Marshall E. Maddox of Jasper, Ga.; four daughters, Mrs. Clyde M. Hunt and Mrs. Edith M. Casey, of Vardaman, Mrs. Porter Lee Williams of Beverly Hills Calif., and Mrs. Sara Embry of Marietta, Ga.; a step-daughter, Mrs. Adelle Bass of Lansing Mich.; 27 grandchildren; 27 great grandchildren; and a great great grandson; three half-brothers, .L.L. Alexander, of Covington, Ky., B.B. Alexander, of Fulton, Ky., and J.Q. Alexander of Corrona Del Mar, Calif., and a half-sister, Mrs. D.C. Legg, of Fulton, Ky.
Editor's Note -- We understand that there are some people who wish to remember Mrs. Maddox and have not had the opportunity to do so. As she was deeply interested in the Vardaman Methodist Church, her family suggests that a donation to the building fund in her memory will mean much to them. Mrs. Alleen Hicks Kimbrough of Vardaman died of septicemia at the Houston Hospital on Wednesday, January 29, 1935, and was laid at rest in the Vardaman cemetery on Thursday, Jan. 30. Mrs. Kimbrough was a member of the Baptist Church at Vardaman; was a devoted Christian and held in high esteem by her many friends. She was a splendid school teacher, having taught in several of the best schools of the county. To know her was to love her. She was a member of Thomas W. Young Chapter of the O.E.S. at Vardaman and will be greatly missed. Alleen was 29 years of age and is survived by her husband, John Ewell Kimbrough Jr., her two-month old son, her mother, Mrs. Bettie Hicks of Vardaman; by a brother George Hicks of Calhoun City; by two sisters, Mrs. Carl McCord of Canton and Mrs. H.F. Johnson of Harrisburg, La. Funeral services were conducted by Rev. H.H. Collins, assisted by Revs. K.E. Clark and J.F. Hartley, and burial with O.E.S. honors was in the cemetery at Vardaman. The Young-Crawford Funeral Home had charge of arrangements. Mr. John T. Skinner, 64, died Tuesday night, March 2, 1976, at 9:30 p.m. at Veterans Hospital in Jackson. He had been in poor health for several months. He was a retired carpenter and resided at Vardaman. He was a Baptist and a Mason. A veteran of World War II, he held memberships in VFW, DAV and American Legion. He and his wife had been married 42 years. Born March 30, 1911, in Trenton, Tenn., he was the son of Ran and Ruby Ingram Skinner, both natives of Trenton Tenn. He leaves his wife, Mrs. Pauline Watkins Skinner; one son, John T. Skinner, Jr. of Gadsden, Ala.; one daughter, Miss Peggy Skinner of Vardaman; three brothers, Buck Skinner and Randolph Skinner, both of Vardaman and Joe Skinner of Memphis, Tenn.; one sister, Mrs. Tommy Young of DeKalb, Ill.; three granddaughters. Funeral services were held March 4 at Pryor Funeral Home Chapel in Calhoun City. Rev. James Shumate officiated. Interment was in Hillcrest cemetery in Vardaman. Pallbearers were Wilma Bailey Leroy Inman, Grady Morgan, Elton Ramage, Donald Harrell and Leo Vanlandingham. Mrs. Ruby Everett Skinner, 83, passed away Tuesday, July 30, 1968, at Vardaman Hospital. Mrs Skinner resided at Vardaman where she had lived most of her life having been born in Eaton, Tenn., the daughter of Mr. and Mrs. John Ingram. She was a Baptist. She Leaves a daughter, Mrs. Tommie Skinner Young of DeKalb, Ill.; four sons, John Skinner, Randolph Skinner and J.W. (Buck) Skinner, all of Vardaman, and Joe Skinner of Memphis, Tenn.; a sister, Mrs. Julia Ingram Ledford of Chattanooga, Tenn.; a brother Russell Ingram of Trenton, Tenn.; nine grandchildren and three great-grandchildren. Funeral services were held on Thursday afternoon, August 1, at Vardaman Baptist Church with Rev. Curtis James officiating, assisted by Rev. David Kendall. Burial was in Hillcrest cemetery under the direction of Antony Funeral Home of Vardaman. Mrs. Pauline Pettit Skinner, 51, died Monday, Jan.17, 1983, at Methodist Hospital in Memphis, Tenn.
She was the wife of Joseph Wayne (Buck) Skinner and they resided at Vardaman where she was a member of the Vardaman First Baptist Church. 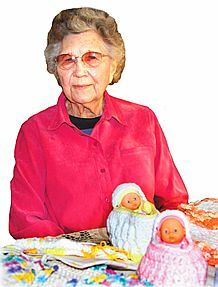 Born Nov. 6, 1931 in Calhoun County she was the daughter of Buie Thomas Pettit and Bera Higginbotham Pettit. Besides her husband, she leaves a daughter, Mrs. Gay Evelyn Nichols of Vardaman; a son, Billy Wayne Skinner of Vardaman; her mother, Mrs. Bera Dye of Vardaman; three sisters, Mrs. Earline Parker of Vardaman, Mrs. Virginia Cheatham of Philadelphia and Mrs. Elizabeth Mitchell of Grenada; two brothers, Lee Pettit and Thomas Pettit, both of Fairfield, Calif.; and four grandchildren. Funeral services were held Jan. 19 at Vardaman Baptist Church. Rev Curtis James officiated, assisted by Rev. Lowell Johnson. Burial was in Hillcrest Cemetery at Vardaman. Pallbearers were Roy Mitchell, Edwin Mitchell, Paul Lowe, Bill Scott, George Wayne Skinner, Mike Skinner and Jimmy Coker. Antony-Parker Funeral Home of Vardaman was in charge of arrangements.